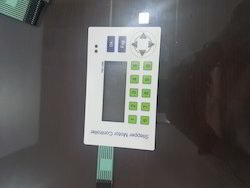 Providing you the best range of tactile membrane keypad, non tactile membrane keypad, tactile keypads with smd led and gold plated domes used membrane keyboard with effective & timely delivery. 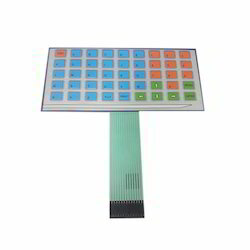 We are a trustyworthy organization offering a wide a gamut of Tactile Membrane Keypad. We are a trustyworthy organization offering a wide a gamut of Non Tactile Membrane Keypad. Storage Temperature: -40°C (-40°F) to +70°C (158°F). Storage Altitude: Sea level to 35,000 feet. Counted, valued and appreciated as first among the best, we present clients with the superior quality of Tactile Keypads with SMD LED. 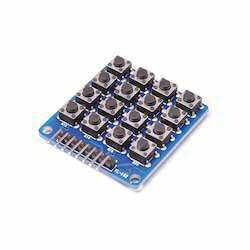 For the purpose of supporting the electronics by using conductive pathways, the tactile keypad with SMD LED is used. 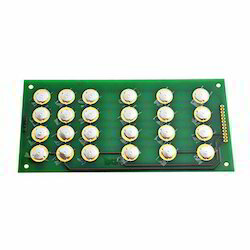 The tactile keypads with SMD LED are precisely manufactured by using technology. Keeping the track of latest development in this domain, we provide clients with Gold Plated Domes Used Membrane Keyboard. Used in electronic industry, the gold plated domes used membrane keyboard is easy to use and is known for its excellent functionality.